While we have several thousand backgrounds from which to choose, you may prefer to use some of the older backgrounds that we have retired, but you used in previous books. 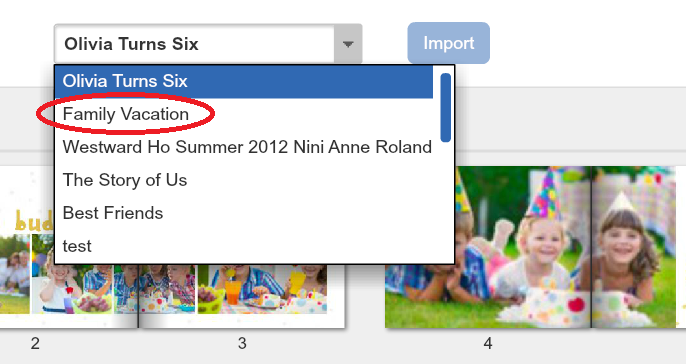 To access these, click the “Add Pages” button to use the Import/Copy Pages feature. For more details, click here. Select the book that has the backgrounds you want to import/copy. Select the pages that have the backgrounds you want to import/copy. Replace your old pictures with your new ones, and redesign your new book as you like!